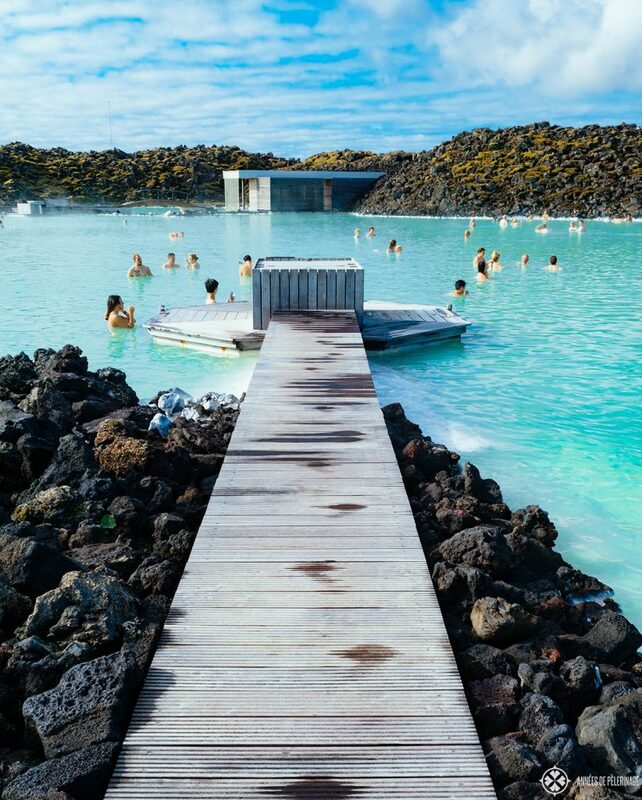 Probably no country is currently on more bucket lists than Iceland. Stunning landscapes, towering waterfalls, spectacular wildlife and of course the Northern Light make it a tourist’s favorite for a reason. But the Arctic island is far from small. That’s why I compiled a list of the 20 most amazing things to do in Iceland. I am fully aware that my list is very far from complete. Anyone who has ever been to Iceland can attest that beauty is literally to be found around each bend of the many winding roads. But (sadly so), most people only have limited time, so I’m fully aware that a list of the top tourist highlights will come in handy when organizing your itinerary. If you don’t have one yet, I urge you to download my sample Iceland itinerary (the one I used on my last trip). Anyway, let’s start with the list, shall we? 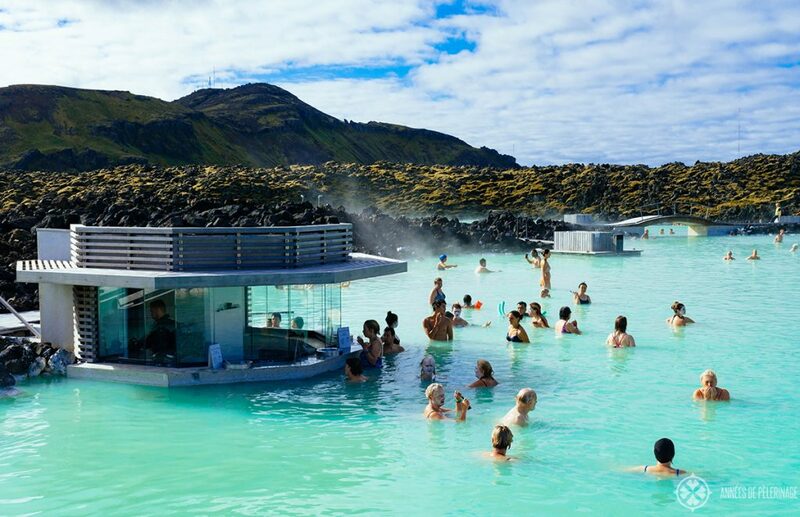 No other place is so readily associated with Iceland than the famous Blue Lagoon. Soaking away in the teal (never understood why they called it blue *lol) waters is for many a dream come true. Entry fees might not be exactly cheap, the thermal bath will be somewhat crowded but it will still be the experience of a lifetime. Fjaðrárgljúfur is my favorite spot in Iceland. The winding canyon looks like a direct access point into a fairytale. Absolutely, bring some water shoes, so you will be able to walk into the canyon as well and not just see it from the top (not an option in winter). 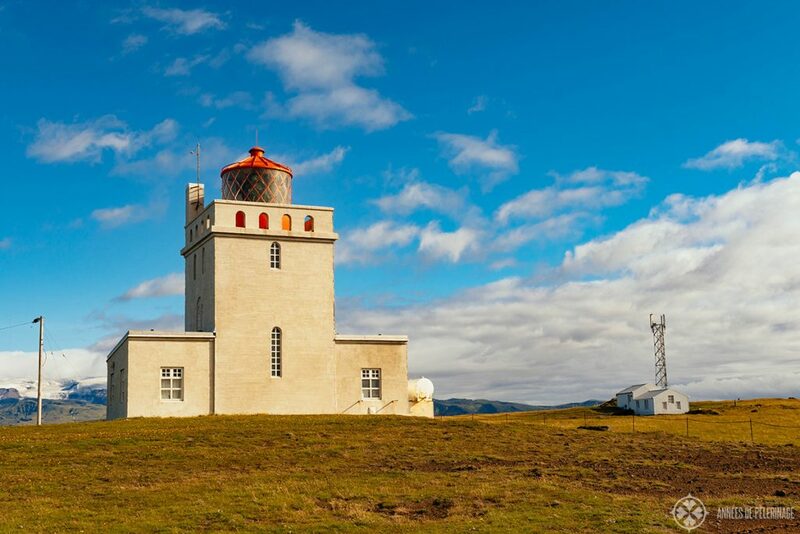 Close to the town of Vík hides (okay, it is quite in plain sights) a true Nordic gem. 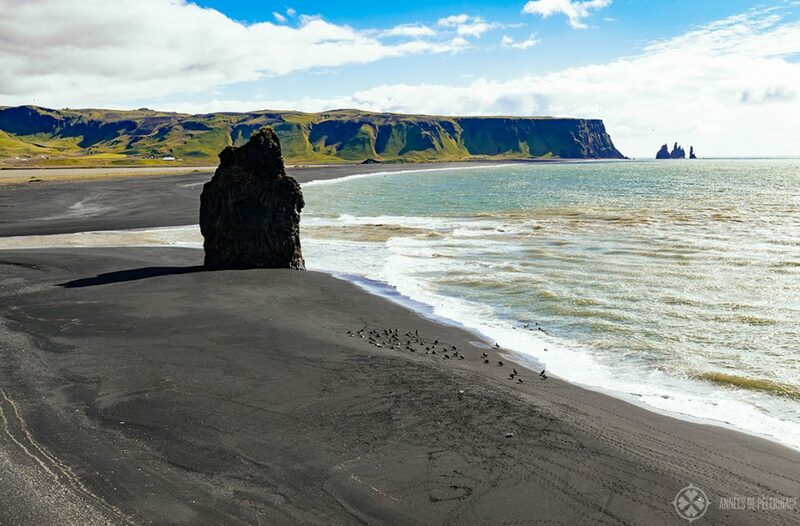 The Reynisfjara black sand beach, with its skyscraper high columns, is a must visit in any Iceland itinerary. It got voted among the most beautiful beaches in the world, and you can easily see why. 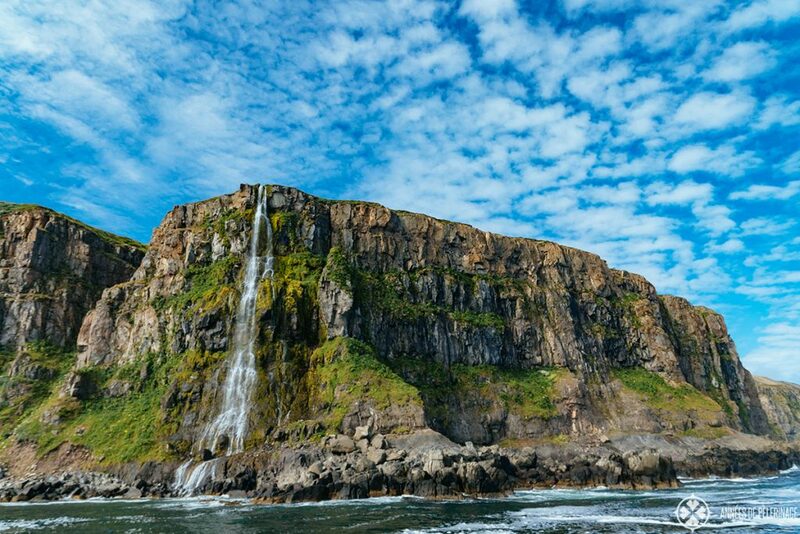 If you are visiting in summer, you should definitely check out the lighthouse of Dryholaey, as the cliffs in front of it are a favorite nesting spot for puffins and other birds. And well, the lighthouse is pretty, eh? 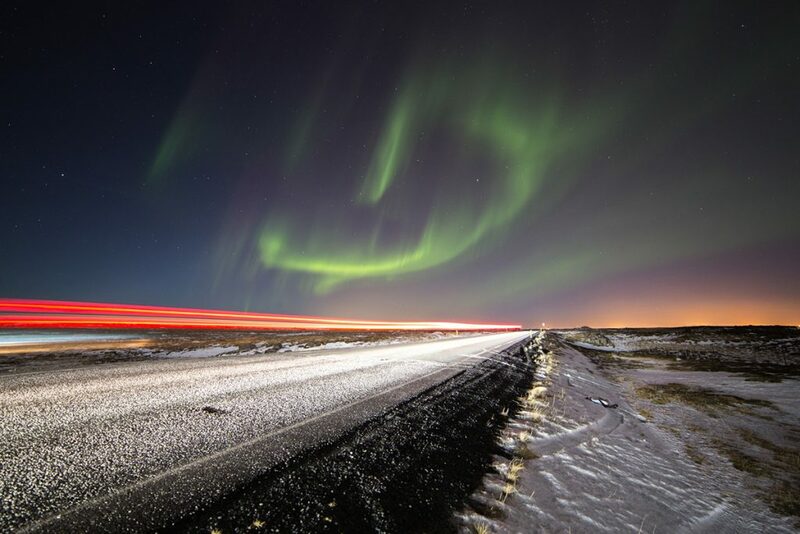 I bet, out of 100 travelers to Iceland 99 want to see the Northern lights (again). The natural phenomenon sets the night sky on fire and sweeps you away with its magic. The only problem: The sky needs to be dark AND clear enough. That means, you won’t be able to see the Northern Lights in summer (when the sun never sets), or on bad days in winter. Sadly, that leaves not too many opportunities, but if you get the chance, set your alarm clock and be ready. There is an official Northern Light forecast. 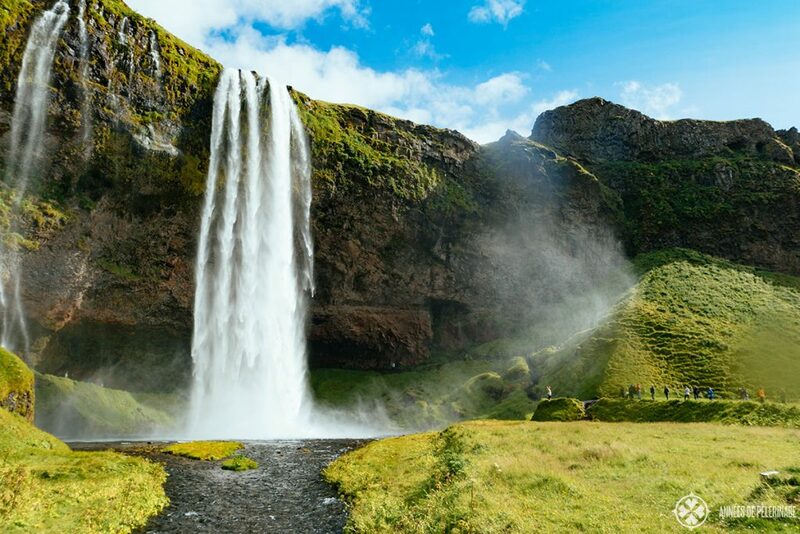 Seljalandfoss is not only one of the most beautiful waterfalls in Iceland, it is one of the very few waterfalls on this planet, where you can actually walk behind the impressive water curtain. So, don’t forget to bring your wide-angle lens and shoot the picture of a lifetime. 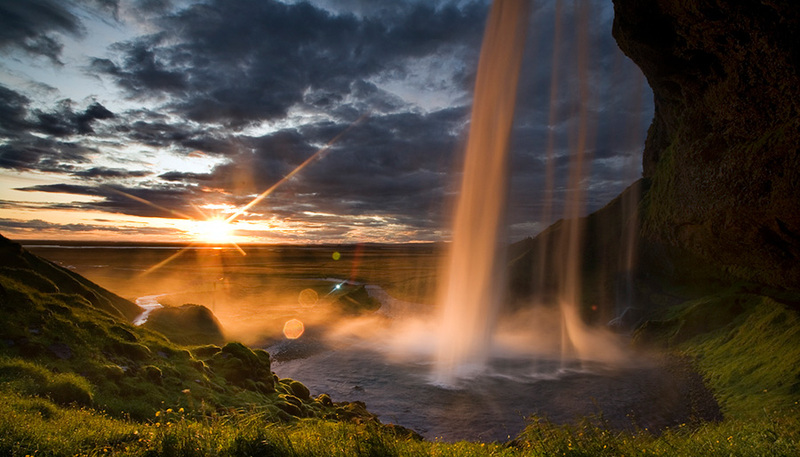 Absolutely make sure to visit Gljúfrabúi a couple of meters the left of Seljalandsfoss. This waterfall hides behind a narrow crevice and can only be accessed by walking through the river that feeds it, right into the cave. Those who brave the chilling water will be well rewarded. These two waterfalls are part of my massive article on the best waterfalls in Iceland you really need to see. Iceland is called Iceland for a reason (or well, legend has it that the Vikings named it Iceland to fool possible invaders and lure them to Greenland). 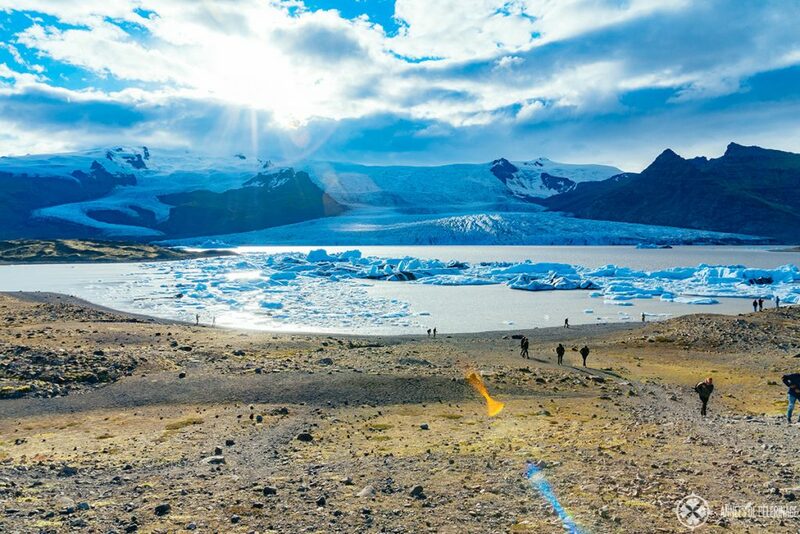 Either way, there is no way around visiting at least one glacier on your trip through Iceland. The Jökulsárlón is probably your prettiest option, as it frequently calves into a blue lagoon, creating picture-perfect vistas. You can even go on a glacier boat tour. Skogafoss really is a textbook waterfall. 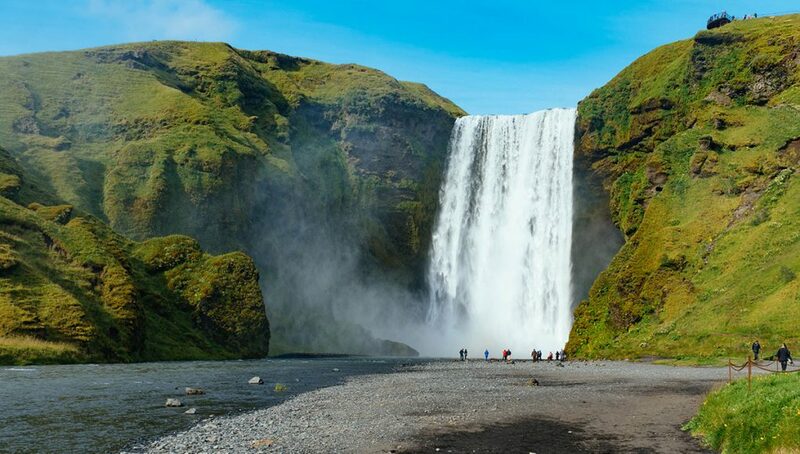 If you’d tell a hundred random people to draw their perfect waterfall, I am sure that 50 would come up with something similar to Skogafoss, close to the town of Vík. Pro tip: Walk all the way up to the top of the waterfall and follow the trail. The upwinding canyon is beyond pretty! 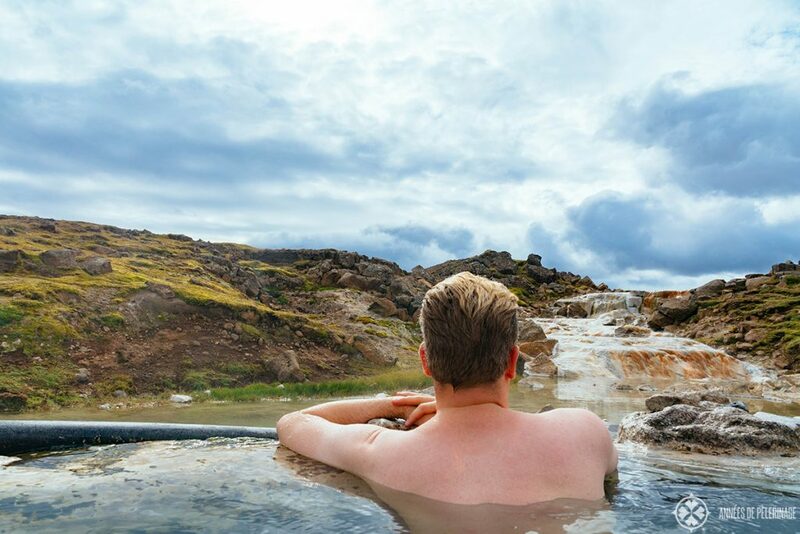 Wondering what to do in Iceland without facing the tourist hordes? There are so many tour companies offering bus tours, that at times it feels impossible to escape these ever-increasing selfie-parade. The Cliffs of Vestrahorn are (currently) not on the schedule of the prevalent bus tours and here you will a unique chance to enjoy one of the most beautiful spots in Iceland on your own. Pro tip: Absolutely try to be here early in the morning, as the early morning lights turn the shallow water into one big mirror! They call Iceland the land of ice and fire. While it’s unlikely that you will see a full-fledged volcano eruption during your stay (as this frequently impairs flight schedules, this should be something to be thankful for), you still have to get intimate with one of the many geothermal fields. The area of Myvatns is famous for its mud pools and sizzling sulfur craters (find more pictures here). 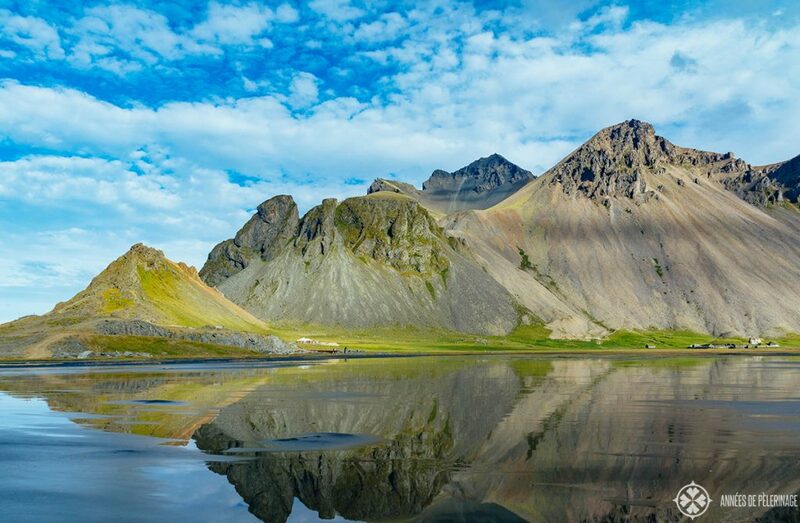 If that is too far up north, you can also decide to see the Nesjavellir fields close to the Golden Circle. The site is sitting right next to one of Iceland’s most famous luxury hotels, so you might actually consider staying a night or two there (read my review here). Dettifoss is by far the most powerful waterfall in Iceland. 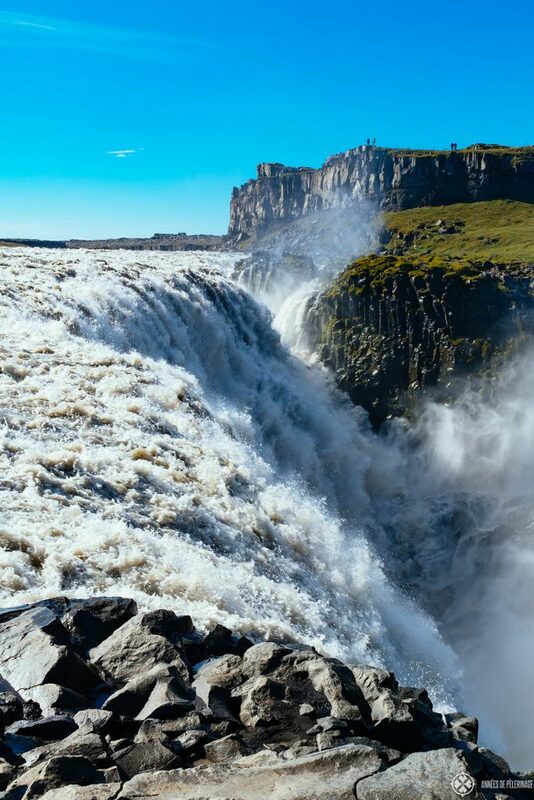 The falls are more than 100 meters (330 ft) wide and on average about 200 m³ of water discharge per second. Needless to say, it’s one of the major reasons to visit the North of Iceland. 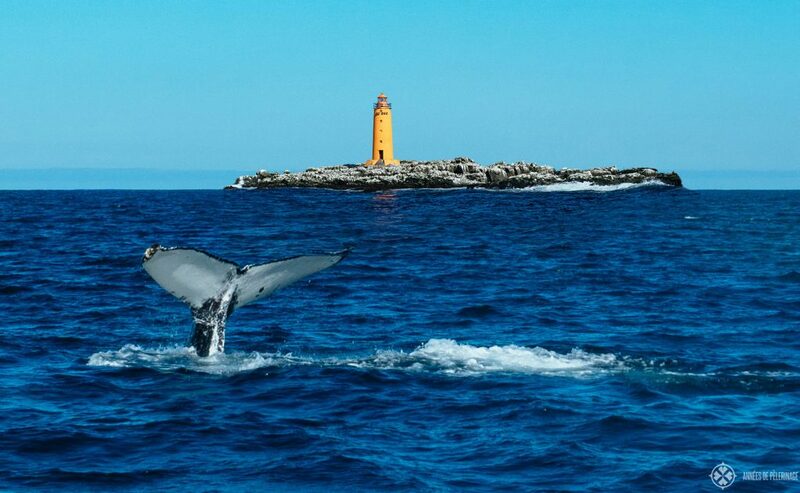 The Arctic waters are a true sanctuary for whales. 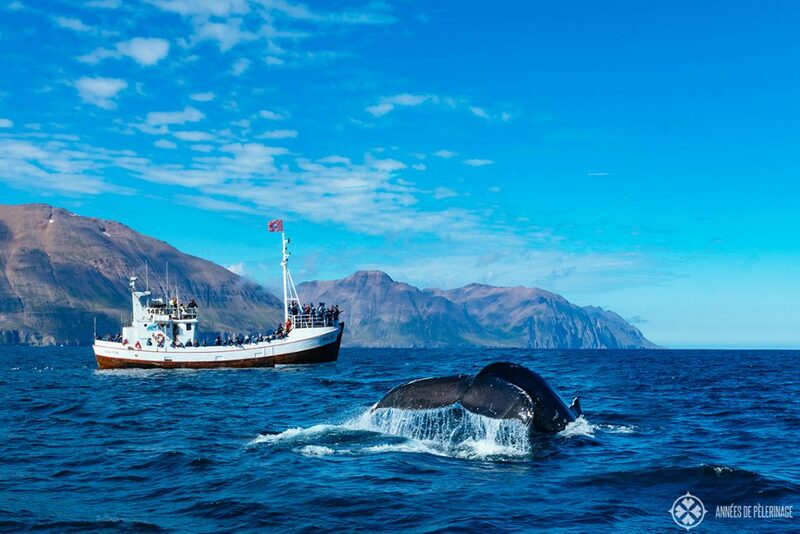 And as such it happens that Iceland is one of the best spots to see whales in the world. 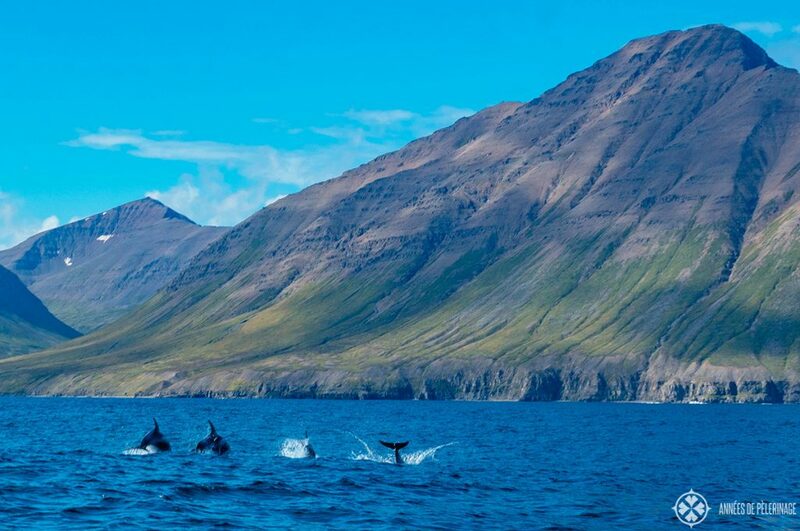 The best place to see whales in Iceland is the bay in front of Akureyri. Most tour operates pride themselves of a 99% chance to see them (from March to November). Don’t miss this chance! (Especially worth your time if you are traveling to Iceland with kids). If you can’t make it up to the north, there are tours offered from the harbor of Reykjavik as well. Though humpback whales are the most common species in Iceland, porpoise, dolphins, orcas and blue whales can be seen as well. It’s no big news that Iceland has a lot of dormant volcanoes. 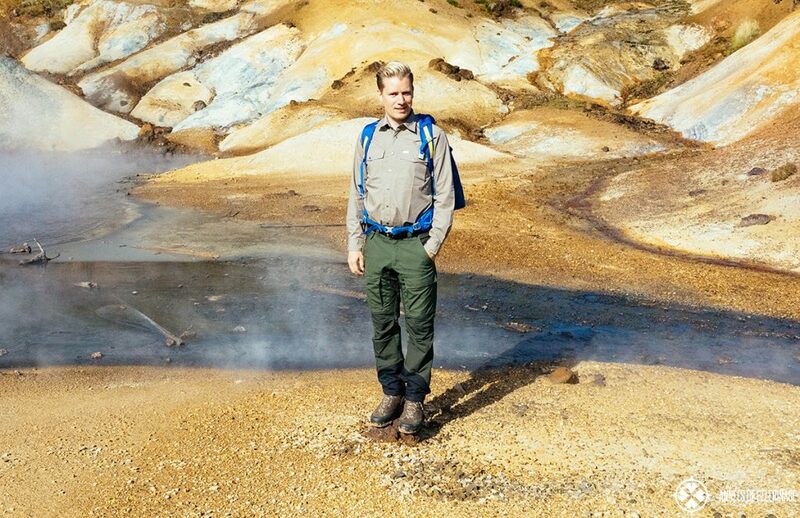 But did you know that two of the biggest geysers in the world can be seen just a couple of miles away from the capital? If you follow the so-called Golden Circle (plenty of tours on offer from Reykjavik), you will also see Strokkur, which sometimes erupts up to 40 meters high. The best part: It’s erupting every 5 to 10 minutes, so there is a 100 percent chance you will see it. 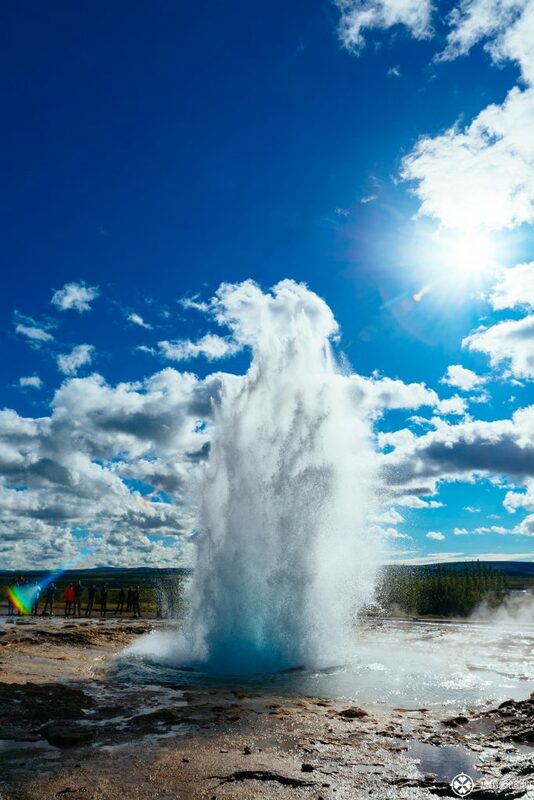 Right next to Strokkur you will also be able to see Geysir, the very first geyser that ever was found and that serves as name patron for all the rest of them. 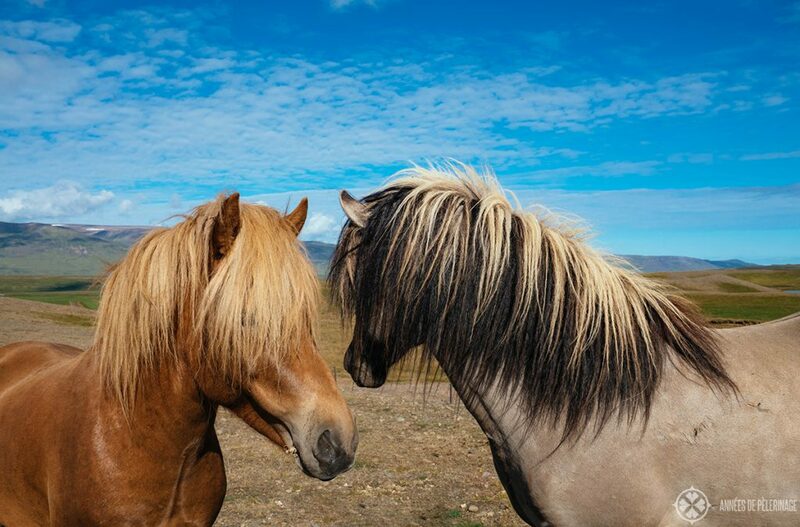 Both should absolutely be on your list of things to see in Iceland. If you stay on the Golden Circle, you will also have to stop by at Þingvellir National Park (reads as Thingvellir). 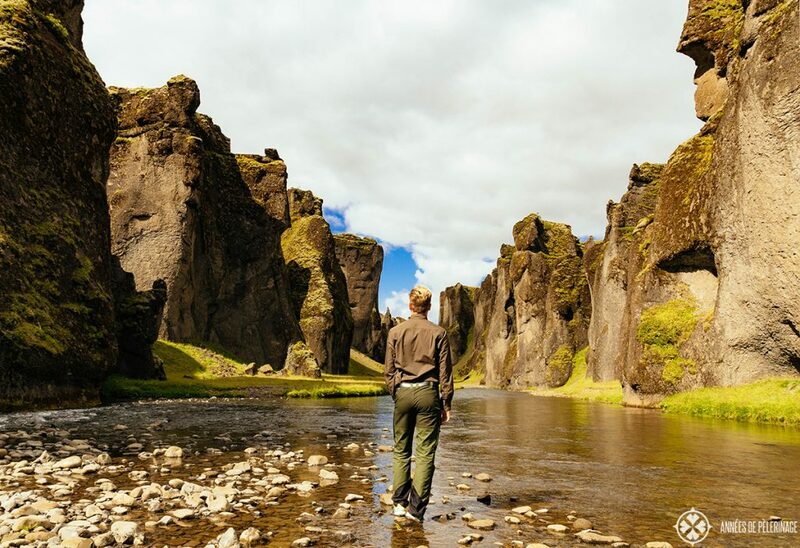 This verdant park is not only one of the best places to observe the northern lights in Iceland, it is also sitting right on top of the Mid-Atlantic Ridge. You will have a hard time missing the big rifts running through the national park. In some, you can even go diving/snorkeling – the water is so clear that you can see for hundred meters and more. But there is yet more. 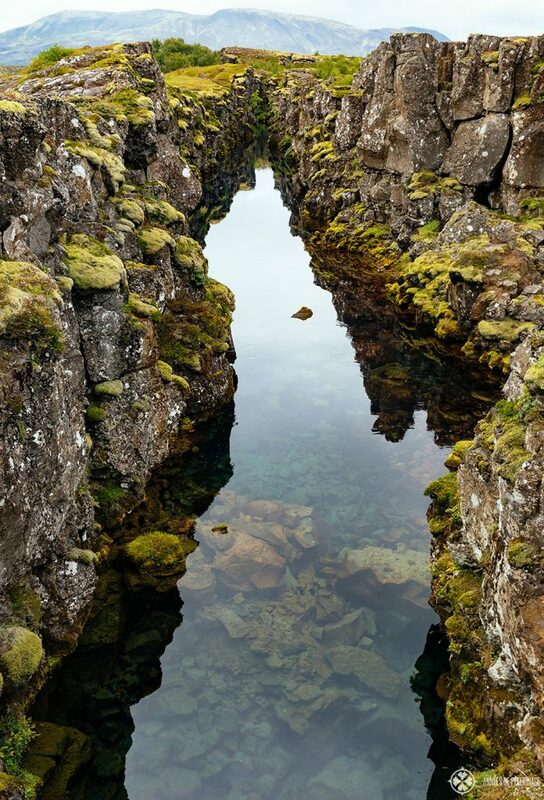 The Þingvellir National Park was home to the national parliament of Iceland (the Alþing) from 930 AD up until 1798! It is also the perfect location to go horseback riding. Even if you got no experience with horses, this can be an option on a special guided tour! 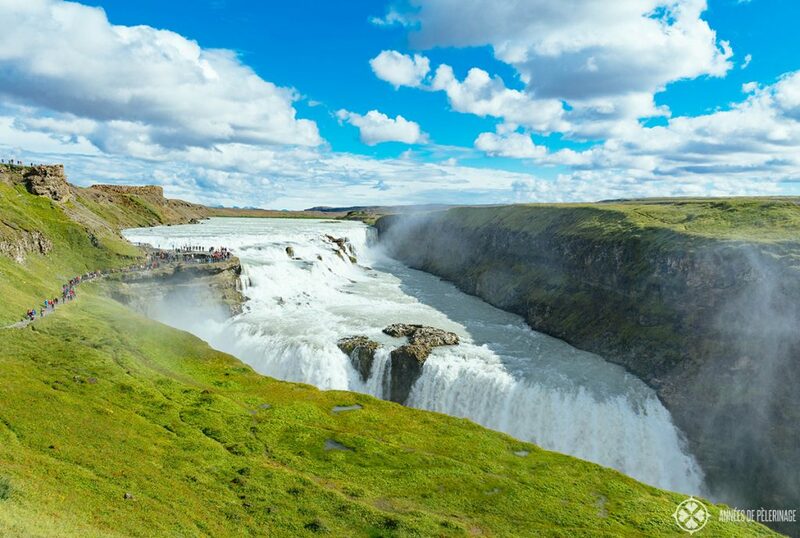 Your last stop on the Golden Circle will be Gullfoss Waterfalls – by far the most popular (and also one of the grandest) waterfalls in Iceland. If you approach Gullfoss, it will first appear like the water was vanishing into the earth. Truly an impressive sight. 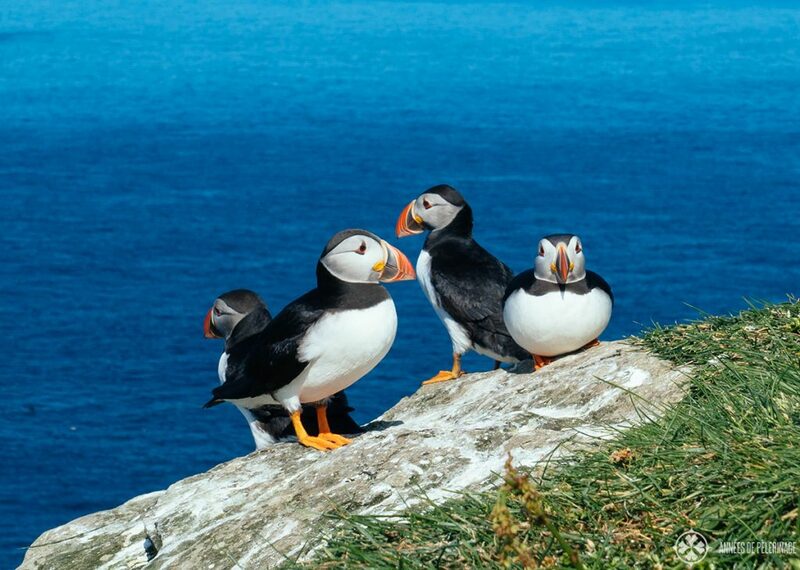 No other bird in Iceland is more popular than the Puffin. And truth be told, they are my favorite bird as well. The rich waters around Iceland make them a prime feeding ground for Puffins and you will be able to see them on a couple of selected spots in Iceland. If you want to see them close-up, your best bet will be the island of Hafnarhólmi. Dyrholaey is also a good place! 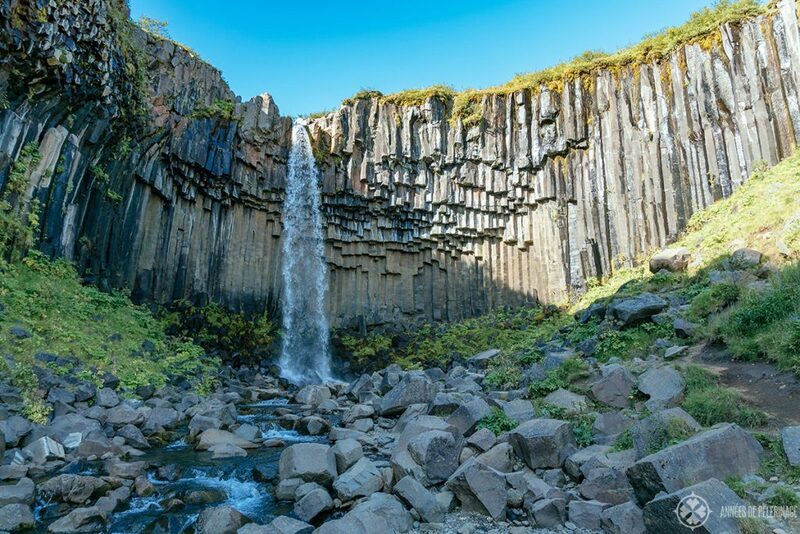 Another waterfall you absolutely have to see in Iceland (notice, a theme seems to be emerging), is Skaftafell. What makes this waterfalls so special? Well, here, the waters crash down from a unique formation of basalt columns. While there are some other spots you can observe it (like Litlanesfoss), Skaftafell is the one easiest accessible and happens to be located near the wonderful Vatnajökull National Park. Ásbyrgi is one of the many secret gems. 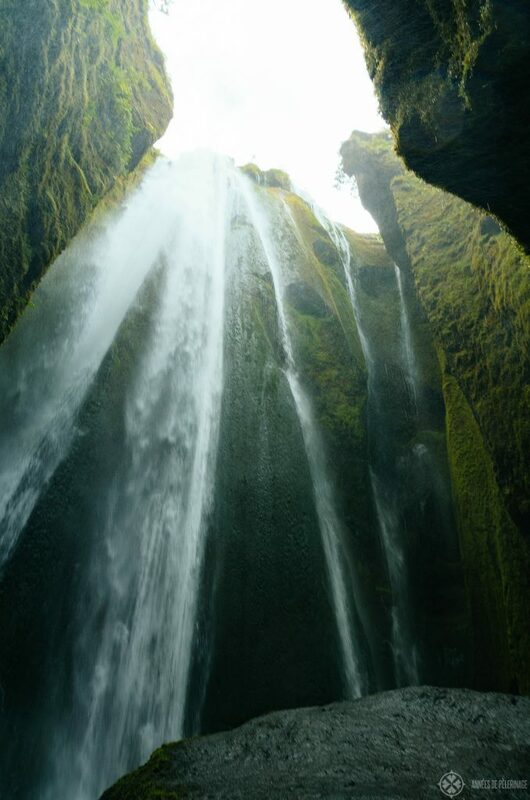 Mainly, because not too many tourists have this amazing gorge on their list of things to do in Iceland. It is said that the horseshoe-shaped canyon is, in fact, Sleipnir’s footprint (you know, Odin’s 8-legged horse). 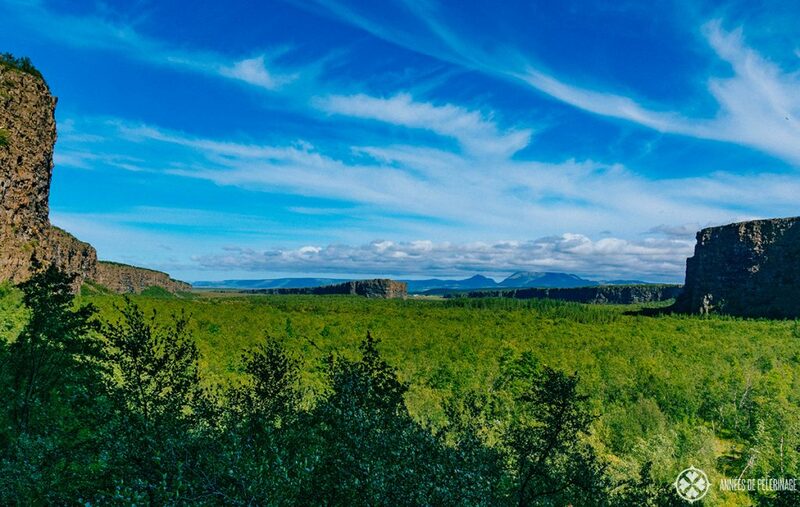 Setting legend aside, Asbyrgi is a wonderful forest resort that will be able to show you a different side of Iceland. And I feel you should not miss that opportunity. Few places on earth are more forbidding and at the same time more beautiful than Landmannalaugar. 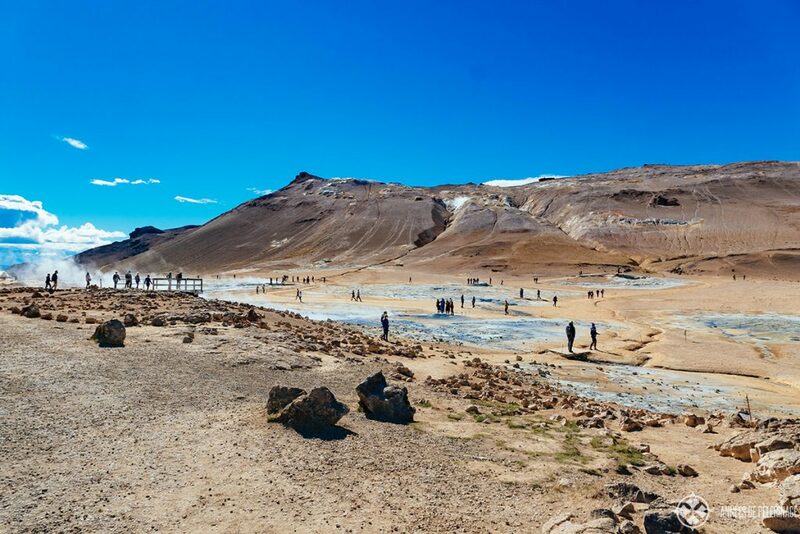 The park is only accessible by F-Roads, meaning good 4WD vehicles and offers you some of the most famous hikes in Iceland. 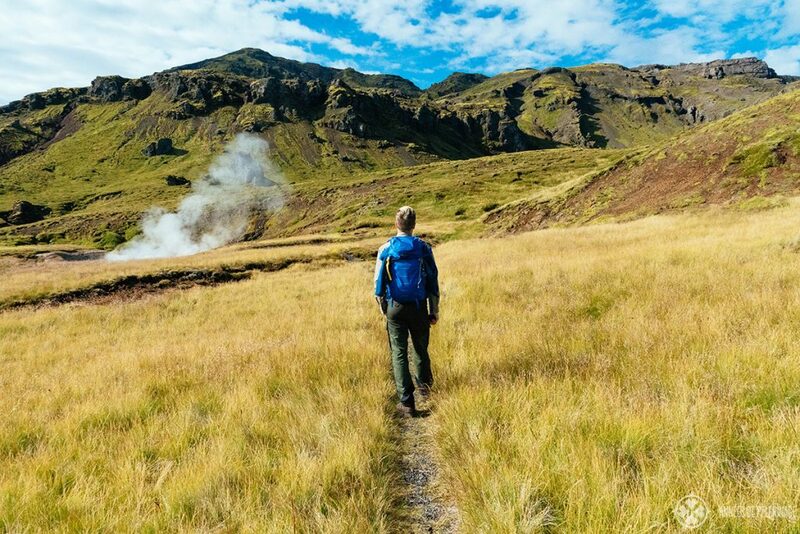 The four-day-long hike called Laugavegur will reward travelers with picture-perfect views of Iceland’s rainbow mountains and so much more. 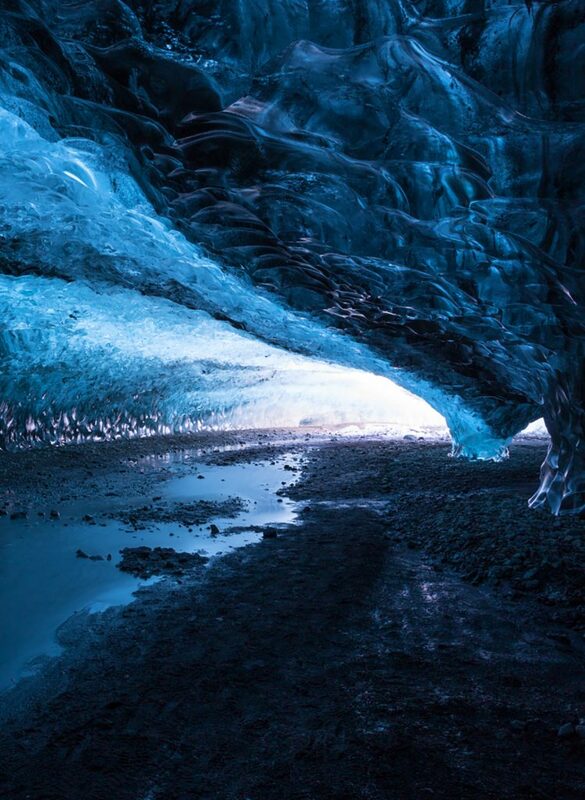 Due to the abundance of glaciers, you also have to unique opportunity to visit an Ice Cave. The fragile structures are only safe to visit in winter, but they make braving the cold weather so worth it. You’ll have to book a tour to visit them, as they are not accessible by normal roads, and only the guides will know when it’s safe to enter and when not. 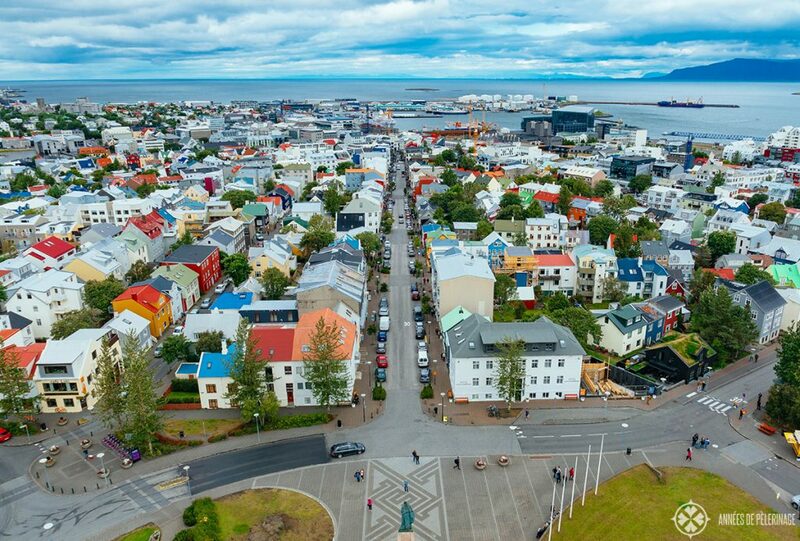 Last, but certainly not least, you have to visit Reykjavik. With a population of around 120.000, Iceland’s capital might not be especially big, but what it lacks in size it makes up with charm. There are a couple of lovely museums (I enjoyed the Phallological Museum and the Phallological Museum the most), wonderful bars and cafés and a healthy share of souvenir shops. All in all, it’s no grand affair, so a day will be more than enough to explore the major highlights. Personally speaking, I feel that Reykjavik is easily skippable, as it does not really offer you any unique settings (like the rest of the places on this list). It’s a nice enough town, but lots of towns across the globe are. 20 awesome Icelandic highlights later, and it still feels this list is too short to cover even the basics. You will, however, soon realize that to see them all, you will need multiple visits and probably a couple of months. This list is, therefore, an attempt to create a diverse itinerary doable in 10 or 11 days. I know that there are many wonderful waterfalls I did not mention (some of them even famous, like Goðafoss or Háifoss), and a lot of regions I didn’t even cover (like the Westfjors, Snæfellsnes Peninsula or the Eastfjords). At the end of the day, you really have to focus on what appeals the most to you, and work things out! Now, having seen all these (hopefully) awe-inspiring pictures, you are probably wondering when to visit Iceland. That is by far an easy question. In fact, I’d probably have to write a list of the things to do in Iceland in winter and one for summer. This is why I put together a detailed guide on the best time to visit Iceland that will answer all your questions and even some you might not have thought about. The short answer: If you want to see Ice Caves and Northern Lights, you will have to go in winter. If you are looking for wildlife and good weather, choose summer. Winter will be less crowded and not as expensive. One of these days, I will write a complete packing list for Iceland, but for now, I’ll keep it short and simple. 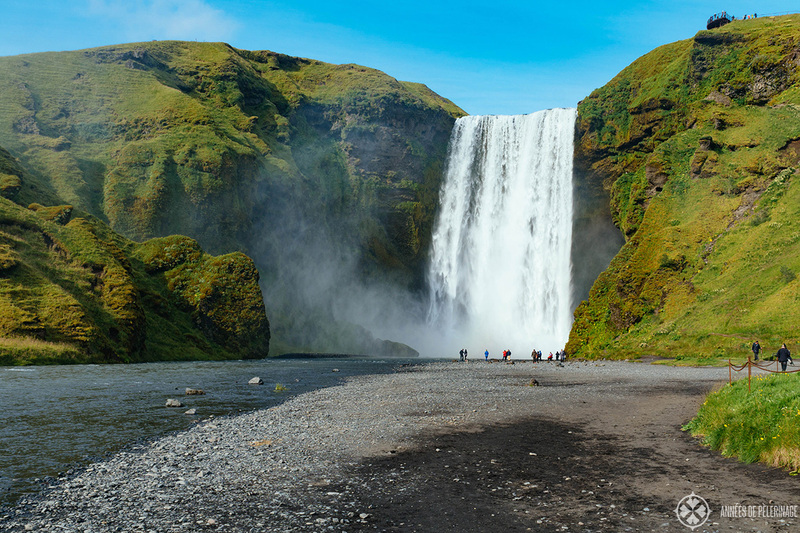 Iceland has rather moderate, if not especially high temperatures throughout the year and it does rain a lot. Expect rain every second day and maximum temperatures of about 15 degrees in summer. No shorts needed, rather dress up according to the onion principle, as temperatures and wind change frequently throughout the day. This is what you should bring instead. For winter: Thermo underwear, gloves, and some proper winter boots. Iceland is an amazing country, and really worthy of your bucket list. You will have to prepare for extremely steep prices (we are talking about 20-30 US-Dollar for a Pizza) and quite a crowd (there are more tourists than locals!). Solid budgeting, putting together a smart itinerary and choosing a good time to visit, will help you have the time of your life. If you got any further questions, please feel free to comment. Like this article? Then don’t forget to pin it to your Pinterest board. 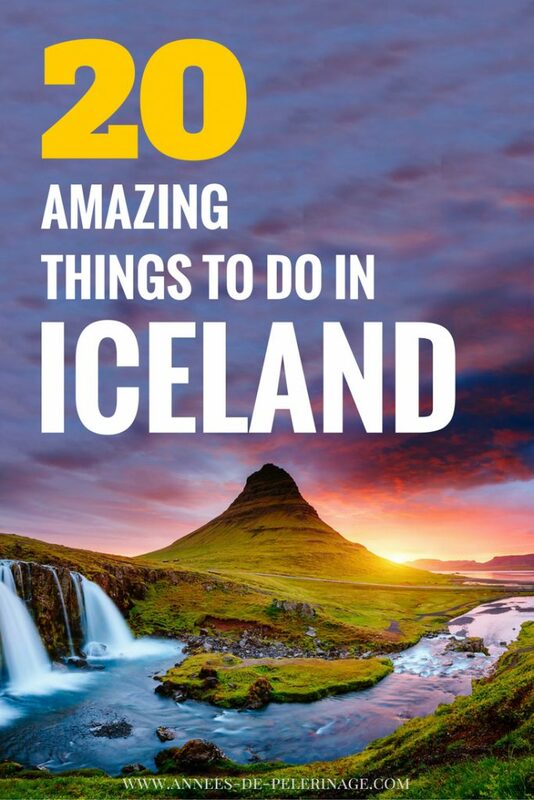 Thanks for this list, all look like great things to do in Iceland. Nice photos. I was there when I was a kid but I really need to get back there one day. Same here. I visited a looot of countries as a kid, but only when I returned at a later age, did I really appreciate them. I am sure you will love Iceland. It can be a bit crowded at times, but the landscape is very impressive. Norman, you forgot one of the most memorable thing. New Years Eve in Reykjavik. It is spectacular event, that starts with huge bon fires, and ends with fireworks that are unorganized but remarkable. Many things to do in Iceland I went there many times and I loved that place. Thanks for sharing it. I like this informative and interesting blog.